Heritage—it’s more than a place on the map. 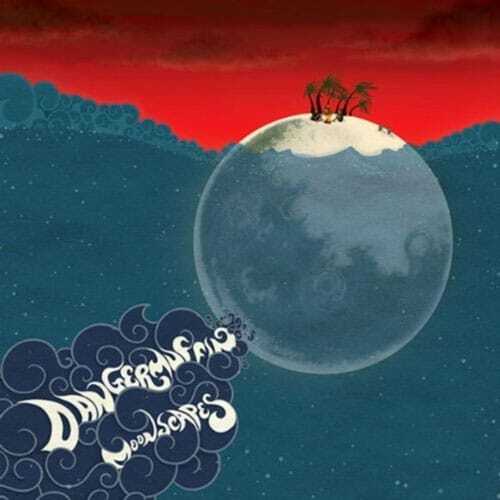 In their sixth and most purposeful album to date, Dangermuffin takes listeners on an eight-song exploration of the prediluvian origins of human knowledge, before spirituality became organized. Heritage is roots music about getting to the collective taproot of humanity, and following that all the way out to the branches where the forbidden fruit—the muffin, sweet and simple—begs to be plucked and consumed. 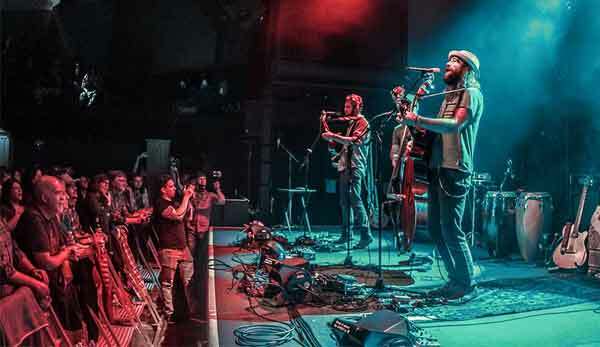 But don’t take a bite without an open heart. .
On Songs For The Universe, Dangermuffin shuffles between cosmic electric journeys and reflective acoustic declarations. Perhaps more than any one of their previous albums, Songs For The Universe spotlights the band’s dexterity and comfort plugged in or untethered, and affirms the profound musical bond shared by the three band members. 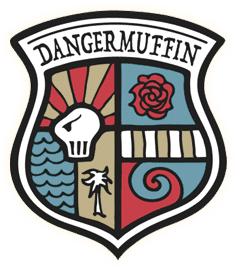 Whether jammin’ out on tracks like Heart and Cicada or leading us to ponder our consciousness on Forgot To Question, the Dangermuffin trinity demonstrates over and over again its undeniable and divine connection. After spending 18 weeks in the number one spot of the HGMN music chart, Olly Oxen Free went on to win HGMN’s 2012 album of the year. A triumphant, multi-genre compilation, this album exemplifies the band’s musical range and resistance to pigeonholing. Everything from Americana jam rock fables to unhurried ballads and spirited ska beats are present here. From the gritty, rockin’ Gutter Dance to the breezy, jazz-inflected pulse of Big Suit, Moonscapes is a colorful musical melange of styles and emotions. Introducing fans to the group’s most comprehensive collection of songs to that date, Moonscapes received praise from leading industry publications and triggered the band’s rise and prominence at music festivals from Bridgeport to Boulder. 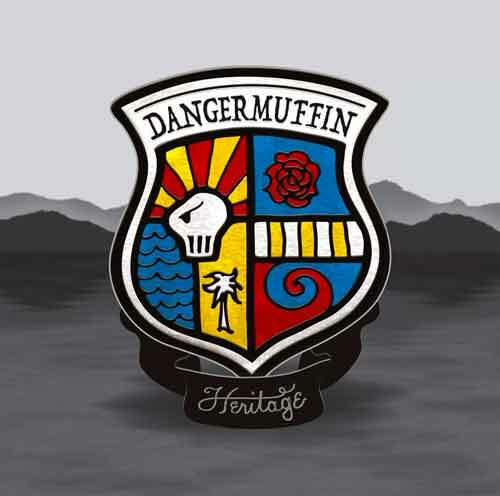 Dangermuffin’s inaugural EP and essential listening. Recorded in Charleston, SC in 2008. 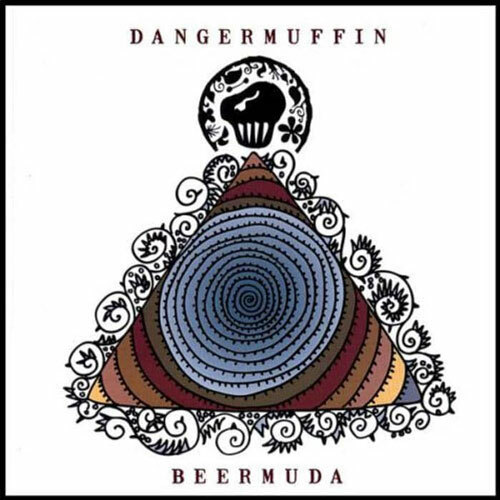 Dangermuffin’s inaugural album, Beermuda jammed a stake in the sand of American roots music and buried it deep. From the beer drenched ballad, What’s in a Bottle, to the sensual serenade, Consumin’ Me, this foundational work of art mingles rockin’ electric energy with raw acoustic tenderness. 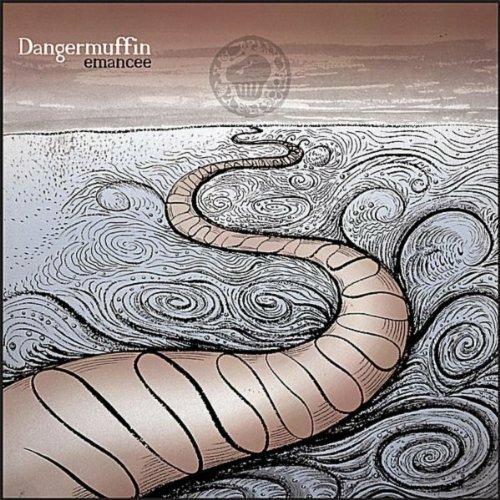 In other words, for any Dangermuffin fan this album is essential listening. Heritage was recorded at Truphonic Recording Studios and The Unitarian Church in Charleston, SC. Special thanks: Bruce Freshley, the UU church/Johanna Evenson, Anna Claire Lotti, Dicky Brendel, Jonathan Rogers, Stephen & Jill Stiller, Howard Dlugasch, Mark Skoultchi, EarTech Music, Spaun Drums, all the family & friends that help us out on the road and make our homes-away-from-home. We dedicate this album to the life of Kirk Horn and his family. 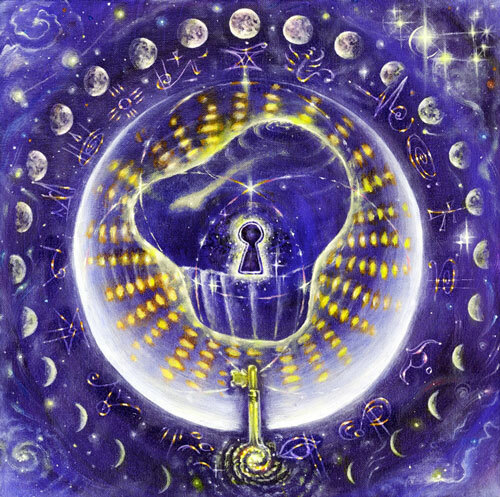 This album was recorded in “ancient” frequencies where A=432 or 444 hertz, with the goal to resonate more purely with our collective souls and our surroundings. We would like to thank all of you who made this record possible! Marty Winsch, Mark Skoultchi, Lanny West, MJ & Young Mi Fick, Bruce Freshley, Vlado Meller, Ian Morris, Emily Kell, Sean Money, Elizabeth Fay, Jon Bell, Richard Brendel, Dan Wilson, Todd Brown, Keller Williams. Dan would also like to thank the ocean and the mountains, his wife, and his momma. Steven says “thank you” to his parents and his ‘Charleston and beyond’ musical family. Mikie would like to thank the 3 most important people in his life: Mom, Dad, and Sandia, plus the 2 guys he shares a van with and the thousands of others with whom he’s shared a smile. 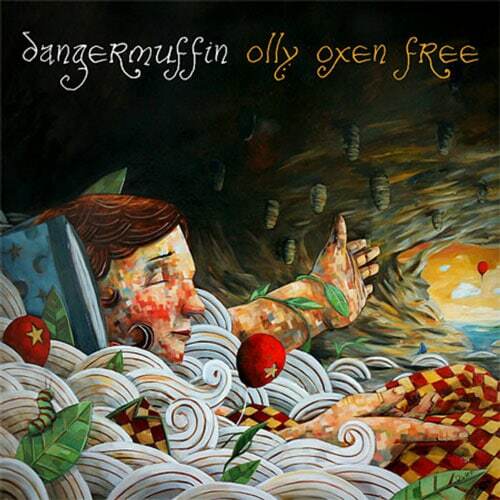 Olly Oxen Free was recorded at Truphonic Recording in Charleston, South Carolina. All other art and layout design by Mike Sivilli. Dangermuffin would like to thank Majeed Fick, Bruce “Olly Oxen Free” Freshley, John Van Meter, Hank and Perry at Surf Bar, Jonathan Rogers, Matt Thompson, Kyle Owens, Don Tudor, Anna Claire Vaughn, Jessica wilson, Bonnie Slifkin, Harvey Leeds, Jon Bell, Nathan Durfee, Ben Williams, and many, many more! Dangermuffin would like to thank: The Sheriff… this album would not have been possible without him, Monty Powell and Anna Wilson for their wonderful contribution, Richard “Dicky” Brendel, Don Tudor, Stratton Lawrence, Kyle Owens, Hank & Perry at the Surf Bar, and all of our friends and families for their unwavering support. We love you all! Let there be the common vibration of music to fill up their hearts, and remind them of how we are all One.